Huntingdon will present its annual Community Christmas Celebration, Thursday, November 29, beginning with St. Nick’s arrival at 6:30 p.m., led onto campus by the Marching Scarlet and Grey and cheerleaders; followed by caroling and tree lighting at 6:45 and A Service of Lessons and Carols at 7:00 p.m. in Ligon Chapel. The service features performances by the Huntingdon Concert Choir and the Huntingdon Chamber Choir. Come out for the most festive evening of the year, and one of Huntingdon’s most uplifting and beautiful events. But Wait! There’s More! Huntingdon has partnered with the Salvation Army for this year’s Angel Tree Project. Come take an angel from the tree. Return your gifts to the Hut by noon, Friday, December 7. Pancake Breakfast Study Break, Sunday, December 2, 10:00 p.m. to midnight, D.H. If you are on the Book Plan (you pick up your books at the beginning of the semester, you do not buy them separately), you must return your books to the bookstore during Finals Week, December 3–7, 8:30 a.m. to 5:00 p.m. Be sure you don’t forget! The cost of the books will be added to your account if you do not return them by the deadline. Also, remember to turn in any library materials you have checked out before you leave campus at the end of the term. Fines for overdue materials will be added to your account, as well. Book and learning resources for Spring Term 2019 may be picked up Sunday, January 13, 2019, 1:00–6:00 p.m. in the bookstore, or during the first week of classes. If you didn’t know how awesome Dr. Jason Borders, professor of religion, and his family are, witness this: http://www.wsfa.com/2018/11/13/families-year-borders/. The Borders family has been nominated as one of four Families of the Year, a recognition bestowed by the Family Guidance Center. Bravo to the Borders, whose actual practice proves that they perform exactly opposite their surname—they are a family who knows no borders. Midnight Madness said hello to the winter sport season in October, but the campus was also faced with a tough farewell. Coach Buzz Phillips, athletic director emeritus, head women’s basketball coach for 12 seasons, and a part of Huntingdon athletics for more than a quarter century, announced his retirement after beginning the season on medical leave. After serving as assistant baseball coach for five years, Coach Phillips helped to restart the men’s basketball program in 1996, taking the team to the National Small College Athletic Association championship; served as director of athletics (2004-13); and was at the helm for 164 of the women’s basketball team’s 186 wins since the beginning of their NCAA-III era in 2004. Coach Phillips was not only admired for his coaching skills, but also for his deep sense of friendship and helpfulness to all. He will be missed by all who have known him. Former assistant coach Paige Huff ’08 is serving as interim head coach, and the team has begun the season with two wins. Read more. The dates are set! We just finished this year’s Homecoming, and next year we’ll meet again, this time a little earlier, October 4–5, 2019. Mark your calendars! It’s always one of the best times of the year. During the October 27 celebration, five alumni were recognized for their achievement or loyalty by the National Alumni Association and six were inducted into the Huntingdon Hall of Fame for their contributions to Hawks athletics. Anna Blair Cockrell ’19 was crowned Homecoming Queen, and the Hawks football team claimed their 100th win in program history and Head Coach Mike Turk‘s 100th win as a head coach. Hawk ’em to the team for ending the season with a winning streak and for chalking up some milestones along the way. Read more about the award winners. Read more about the court. Read more about the victory. Flu vaccinations will be administered Thursday, November 15, 10:00 a.m. to 2:00 p.m. in The Hut. As you know, you were asked to reserve a vaccine in advance by emailing Dean Fran Taylor. However, the Office of Student Affairs has you covered if you forgot to do that. Just be the first in line to get one of the extra vaccines they’ll have on hand. Huntingdon partnered with other Alabama colleges and universities to sponsor the Southern Historical Association annual conference, held November 8–11 in Birmingham. Dr. Blake Ball, assistant professor of history, was a presenter for the conference. Game Changer Chicago was on campus earlier this month, helping faculty play games! The two-day faculty workshop was supported by a NetVUE grant and intended to spark teaching innovations through game playing and game development. Huntingdon students, faculty, and staff filled 20 Disaster Relief buckets for the United Methodist Committee on Relief, specifically for victims of Hurricane Michael, earlier this month.Thank you to the faculty and staff who donated supplies and filled buckets, as well as the women’s volleyball team, the men’s and women’s cross country team, the women’s soccer team, the Office of College and Alumni Relations, First Lady Elizabeth West, Ms. Sandy Kelser, the Office of Communications, the Houghton Library staff, and the Office of Student Affairs. The women’s soccer team ended their season in the quarterfinals of the USA South tournament. Elena Guy ’21 was named to the second team All-Conference as a midfielder. Darah McIlwain ’21 was named to the All-Sportsmanship Team. The women’s softball team volunteered for Zoo Boo in October and have walked dogs for the Montgomery Humane Society this month. Earlier this semester, they worked a Montgomery Biscuits game to raise money for a trip they’re planning to Puerto Rico in January; fed the homeless at the Salvation Army shelter; and participated in a wall sit held across the country to honor Alex Wilcox, a Mississippi State softball player who lost her life to ovarian cancer. They are one of the volunteering-est groups on campus and we salute them for going forth to apply wisdom in service! The women’s volleyball team finished one of their best seasons in the NCAA-III era with a 21-12 record this season and the first back-to-back winning seasons since 2008 and 2009. The team reached the USA South Conference quarterfinals. Amy Tyma ’21 earned first team West Division and first team All-Conference Honors; Alexis Creasman ’19 garnered first team West Division recognition; Kaitlyn Carter ’19 and Addison Genard ’21 were named to the second team West Division; and Nichole LeFevre ’19 was named to the All-Sportsmanship Team. Dr. Blake Ball, assistant professor of history, and his wife welcomed baby girl Madelyn Blake Mayer Ball, October 16, 2018. Congratulations to the whole family! Abby Blankenship ’18, a student at Cumberland School of Law, Samford University, was recently named to the school’s Honor Court. She was the only woman of 18. She has been asked to join two other law fraternities. Vinson Bradley ’10 has stepped in to coordinate the Shelby campus of the Evening Bachelor’s Degree Program temporarily until a new site coordinator is found. Garrett Bullock ’14 is an occupational therapist with the Department of Veterans’ Affairs and lives in Northport, Alabama. He and his wife, Anne Preston Speed Bullock ’14, both completed master’s degrees in occupational therapy in 2017 at Alabama State University. Chi Omega women’s fraternity hosted an event in Cloverdale Park that included a food truck rally and concert. The event, Rally for Wishes, was the grand finale of Wish Week, with myriad events to raise money for Make-A-Wish Foundation.The goal was to raise $8,000 to grant a wish for a young person. The amount raised to date exceeds $11,500. Great job, Chi Os! Dr. Kyle Christensen, communication studies, welcomed Dr. Scarlett L. Hester via Skype to his class, “Monsters on the Screen.” Hester is a post-doctoral fellow in communications at the College of Wooster whose research interests include critical media studies, critical rhetoric, whiteness, race and gender, and intersectionality, especially feminist scholarship in the context of sports culture. Kelly Frazier Clark ’10 is working as a forensic scientist for Texas DPS. Members of the Concert Choir participated in the Alabama Choral Directors Association Collegiate Choral Festival, Tuesday, November 13, in Birmingham. The fourth excerpt in Dr. James Conely‘s series, “Progressive Pedal Exercises,” appears in the November issue of The American Organist, the most widely-read journal devoted to organ and choral music in the world. He has just entered a contract to publish three of his organ pieces with the Lorenz Corporation. Jackson Cruce ’16 married Amber Terry, October 13, 2018. Mr. Blake Denton, library archivist, had a book review of “Successful Funding of the American Library: Philanthropy in Higher Education” published in the Southeastern Librarian. Justin Evans has moved to the position of site coordinator for the Centerpoint campus of the Evening Bachelor’s Degree Program. Members of the Freshman Leadership Initiative toured the Equal Justice Initiative’s National Memorial for Peace and Justice in October. 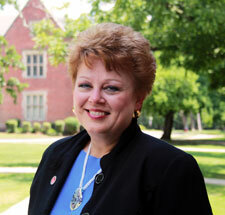 The group is led by Sherry Leigh Lacey Farquhar ’13, director of the Center for Career and Vocation. Professors Paul Gier and Jim Daniels, biology, took students in the BIOL336 General Ecology class to the College’s Bowman Ecological Study Center site to collect leaves and examine them for toughness in October. They also shepherded a group on the department’s annual trek to Dauphin Island Sea Lab. DeAnte Griffith ’21 was named USA South Defensive Player of the Week October 15 for his performance in the team’s 52-17 win over Brevard College, where he chalked up three tackles, two sacks, a forced fumble, and three quarterback hurries. Fe’ Gulledge ’09 received Hewitt-Trussville High School Teacher of the Year honors. She teaches chemistry. Linebacker Trey Hayes ’19 finished his collegiate career as the record-holder in tackles for the Hawks, after breaking the record earlier in the season. He finished with 310 career tackles in 43 games. Zac Heino ’21 was named to the All-Sportsmanship Team at the close of the 2018 soccer season. Two short stories, “Doc Barfield’s Dreams,” and “Time Is Running Out,” written by Jim Hilgartner, professor of English, have been accepted for publication in The Big Window Review. They will appear in Issue 14, February 2019, but will be posted November 16 on the journal’s website. Dr. Elizabeth Hutcheon, assistant professor of English and Pre-Law adviser, and Sherry Leigh Lacey Farquhar ’13, director of the Center for Career and Vocation, took students and recent alums to the Law School Admission Council forum in Atlanta October 19. Congratulations to Dr. Hutcheon, who was promoted to associate professor of English and received tenure this fall. Michael (Kazmo) Kasmarik ’14 serves as U.S. history and government teacher and head boys’ lacrosse coach for Hargrave Military Academy in Chatham, Virginia. Kyle Lancaster ’17 and Taylor Blackwell ‘18 have announced their engagement. Kelan LeBlanc ’22 was named to the third team All-Conference for his play on the soccer team. He earned 8 goals and 2 assists in the 2018 season. Vanessa Leiterman ’19 led the women’s golf team to a 6th place finish as she finished fourth in the Chick-fil-A Invitational in October. Alex Moore Livingston ’17 teaches history for Morgan County Schools in Decatur, Alabama. Drew Mathers ’20 brought home USA South Golfer of the Week honors along with medalist honors after winning the O’Briant-Jensen Memorial Tournament in October. It was his first win of the season and the second of his Huntingdon career. The team finished second. Hodge Patterson ’07 has moved to the position of associate executive director of the Toby Wells YMCA in San Diego County in California. He oversees aquatics, fitness, membership departments, and the Annual Support Campaign. Deborah Ottaviano Paul ’88 is a first degree black belt, achieved in April at GoNoSen Karate in Montrose, New York, where she is also employed. Madeline Pendley ’16 married Colby Cannon, October 16, 2018. Kathleen Penney ’15, director of student activities, and Student Affairs colleagues took a group on a mystery trip in October. Destination: Dollywood! Dr. Tom Perrin, associate provost and associate professor of English, presented a paper about crime fiction at the national conference of the Association for the Study of the Arts of the Present in October. Coach Kara Rawls has joined the women’s basketball team as assistant coach. She comes to Huntingdon after a playing career at the University of Alabama at Birmingham and Lawson State Community College. She earned her Bachelor of Arts in sociology and Master of Arts in applied sociology at UAB. She is studying toward a Master of Arts in sport management with a coaching and athletic administration concentration. Stephen Shephard ’19 finished one stroke out of first as he and the men’s golf team placed second in the Golfweek DIII Fall Invitational in October. On the women’s side, Katelyn Gilmore ’19 shot her best collegiate round and finished fifth, while the team finished eighth in the tournament. Rebecca Jordan Shippen ’12 works as the recruiting coordinator for Auburn University’s Honors College. Dr. Stephen Sours was promoted to associate professor of religion and received tenure this fall. Dr. Anneliese Spaeth, associate professor of mathematics, and Ms. Jaime Demick, assistant professor of physics, participated in AUM’s Sonia Kovalesky Mathematics Day in October. Ms. Demick was a panelist for a discussion on STEM (Science, Technology, Engineering, Mathematics) careers, and Dr. Spaeth presented a workshop, “Breaking the Code,” using the computer language Python. Dr. Siobahn Stiles and Dr. Kyle Christensen, both in communication studies, judged the Alabama Independent School Association Oratorical Contest in October. The event was hosted by the College. Dr. Sid Stubbs and Dr. Anneliese Spaeth, both mathematics, volunteered as mediators for the BEST Robotics regional competition at Auburn University in October. Ahmaud Taylor ’22 was named USA South Defensive Rookie of the Week October 29 for his performance in the Hawks’ 45-0 win over Greensboro in Huntingdon’s Homecoming game. He finished with 5 tackles, an interception, and returned a fumble for 47 yards and a touchdown. Eric Thomas ’21 was named USA South Offensive Player of the Week November 12 in recognition of his contributions to the team’s 42-14 win over LaGrange College, November 10. Eric scored a touchdown and rushed for a career-high 209 yards on 30 carries. He became the third player in Huntingdon history to rush for more than 1000 yards in a season, ending with 1020 yards, 11 touchdowns, and a new record for average rushing yards per game at 113.3. Caitlin Walker ’16 is an accountant with the Alabama Department of Insurance and lives in Montgomery. Dr. Damion Womack, assistant professor of music and director of choral activities, was invited to serve as a guest conductor and clinician for the Alabama Music Education Association’s Honor Choir, held at Samford University, October 12. Huntingdon kicker Chase Young ’19 ended his collegiate football career as the USA South’s career leader in points scored (310), field goals made (34) and extra points made (208). He also holds Huntingdon’s records for points by a kicker and is the Hawks’ second leading all-time scorer. He was named USA South Special Teams Player of the Week November 5 for his performance in the team’s 50-29 win over North Carolina Wesleyan. Our heartfelt sympathy is extended to trustee Phebe Mason Lee ’69, whose mother, Truby Eloise Nation Mason, died October 13, 2018.